Do you feel you have to fight, for your right, to vegan pizza? 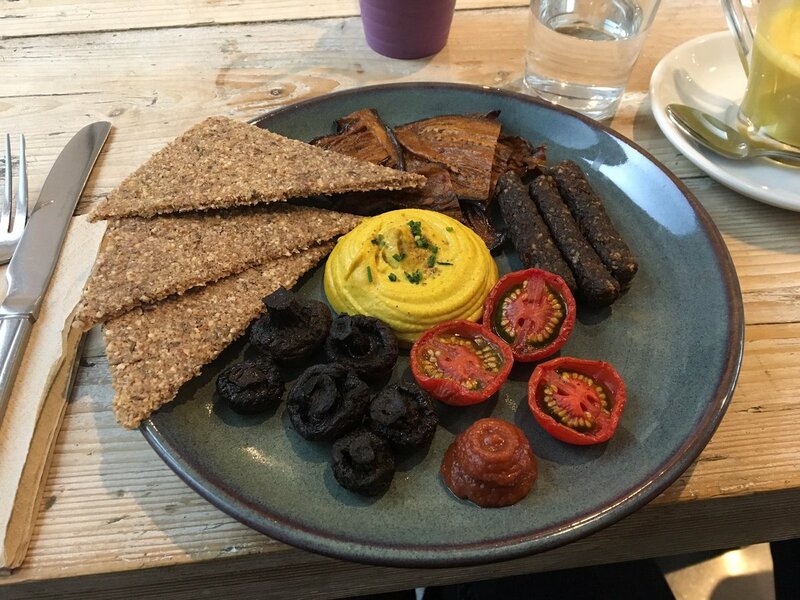 Vegan eating in London has exploded in recent years but when it comes to our favourite hangover, couch-potato and comfort foods it can still be woefully tricky to find a fix. But pizza-lovers need not give up hope, for there are some brilliant independents and chains swapping out the dairy and welcoming vegans into that wonderful, warm, crusty fold. Ok that sounds a bit gross. But these pizzas aren't. 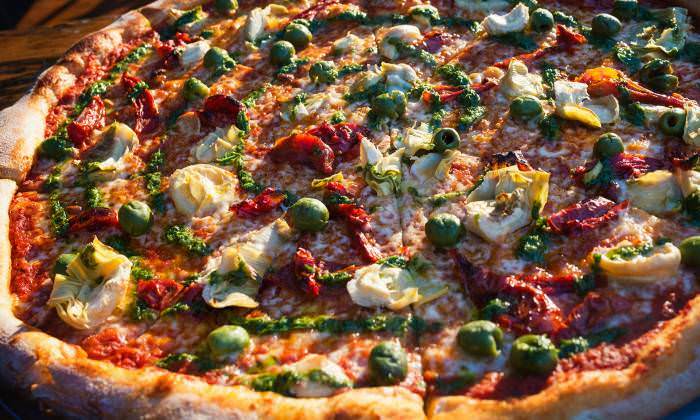 Here's where to get a vegan slice of the action. 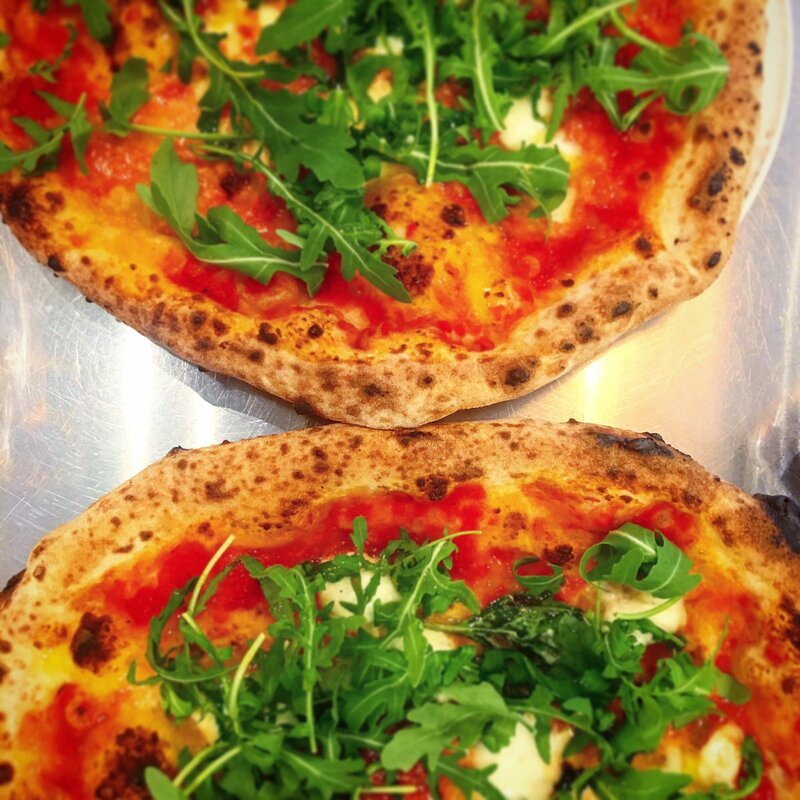 Popular chain Franco Manca is proving that vegan pizza eating can be blissfully fuss-free. Once just a tiny site in Brixton Market, this pizza house now boasts more than 30 sites and is pure Neapolitan-style, sourdough base heaven. Queues frequently snake out the door. The restaurants themselves are not vegan, although you can ask to drop the cheese from any of their veggie offerings. Our recommendation however, is to opt for the wonderfully simple tomato, garlic and oregano pizza (a steal at £4.95) and build it up with toppings of your choice. There are all the usual suspects such as mushroom and spinach, but also seasonal offerings on their specials board so you can keep each visit fresh. With seven branches around London, Pizza Pilgrims founders James and Thom Eliot have well and truly completed the transition from street food stars to restaurateurs. The secret is remaining true to their Napoli-inspired origins (dough slow-proved for 28 hours then cooked hot and fast) and keeping options simple, but fresh. And things don't get much simpler than the Marinara pizza. This £5.50 bargain is topped with rich tomato sauce, olive oil, garlic, basil and oregano. Add extra toppings if you like, but the rich, deep flavour of the marinara sauce is perfectly delicious on its own. Vegan specials pop up on the monthly menu too. Perfect for eating by the slice, Voodoo Rays' New York-style pizzas are absolutely enormous and carry a thinner, crispier crust than their Italian counterparts. If firmer bases are your go-to, check out their Queen Vegan slice. This cheese-free monster comes topped with olives, artichoke hearts, sun-blushed tomatoes, tomato sauce and a vague-sounding "green sauce" which turns out to be a pleasant home-made vegan pesto. Soft, chewy and perfect to fold and go, this is one for vegans on the run. 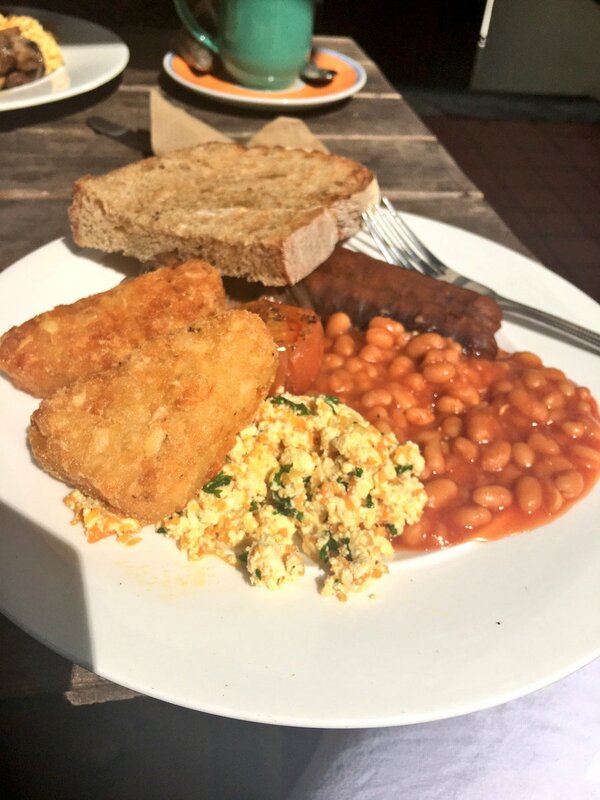 Exhibition house, event space and home to a cracking selection of vegetarian and vegan dishes, The Gallery Cafe in Bethnal Green is a local treasure, run by community charity St Margaret's House. All profits from the cafe go straight back into the charity, so your rumbling stomach isn't the only reason to give this wonderful spot your custom. There's no dedicated vegan pizza on the menu yet, but it's worth keeping your eyes peeled as a cheeky vegan margherita does crop up on the specials board on a regular basis. It's heartfelt, yummy cooking in a peaceful and friendly location. Go. Not content with simply ditching the cheese altogether, Basilico - with a dozen sites across London - instead offers vegan cheese on request at no extra cost. That means any of their vegetarian offerings are also open to vegans, from their veggie-heavy aubergine, courgette and red pepper pizza, to their Sicilian slices with artichokes, tomatoes and red pepper pesto. Oh, and they do home deliveries too. See ya later, mozzarella! This Notting Hill eatery crops up time and time again in healthy food lists. Why? Because NAMA is all about creative, raw, vegan food. And they don't shy away from recreations of the classics either. There's a Full English on the breakfast menu, cheesecake on the dessert menu and, oh yes, pizza on the main menu. But not pizza as you know it. 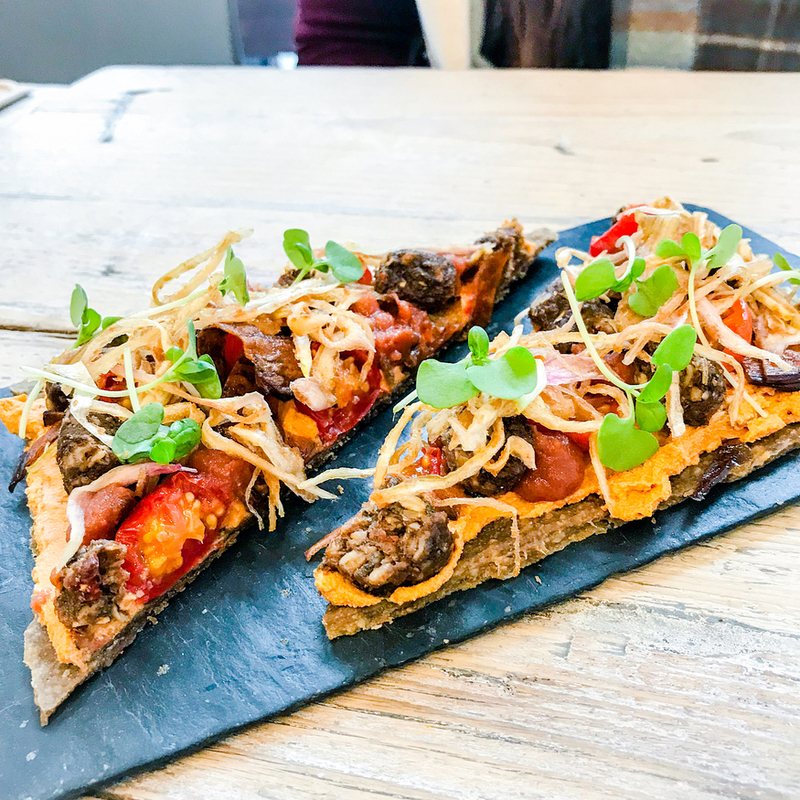 NAMA's imaginative handiwork contains walnut crusts, cashew 'parmesan', chipotle 'cheese', aubergine 'bacon' and a whole host of other guilt-free delicacies. Innocent pizzas aren't always easy to come by, but these guys have it nailed. Dear Pizza in Highbury doesn't just have a vegan option, it has a whole flippin' vegan menu. There are the expected salads and a pleasing number of pastas, but it's the pizza selection that is enough to bring a tear to one's eye. Vegan mozzarella combines with vegan meat substitutes for a vegan pizza menu that resembles... well... a pizza menu! Oh hey, Hawaiian. Nice to meet you, Mexicana. What's the catch, Calzone? It's not fancy stuff, but if you fancy stuffing your face then you won't be disappointed. Londonist writer Joanne Gould previously heralded Wedge Issue for their "thin crust, West Coast style stone-baked slices". The selection of vegan pizzas on offer at this informal joint sit pretty at under £10 each and come topped with vegan cheese, San Marzano tomato sauce (supposedly the best tomatoes 'in the world') and optional tidbits from vegan chorizo and mock meatballs to roasted veggies. Bonus points for offering vegan aioli dip (yes of course we still want dip!) and even a vegan chocolate pizza. Because the only way to round off pizza is... pizza. Obviously. Based in Clerkenwell, but there's a second site in Shoreditch. PickyWops aren't just jumping on the vegan pizza bandwagon, they helped build the bandwagon. 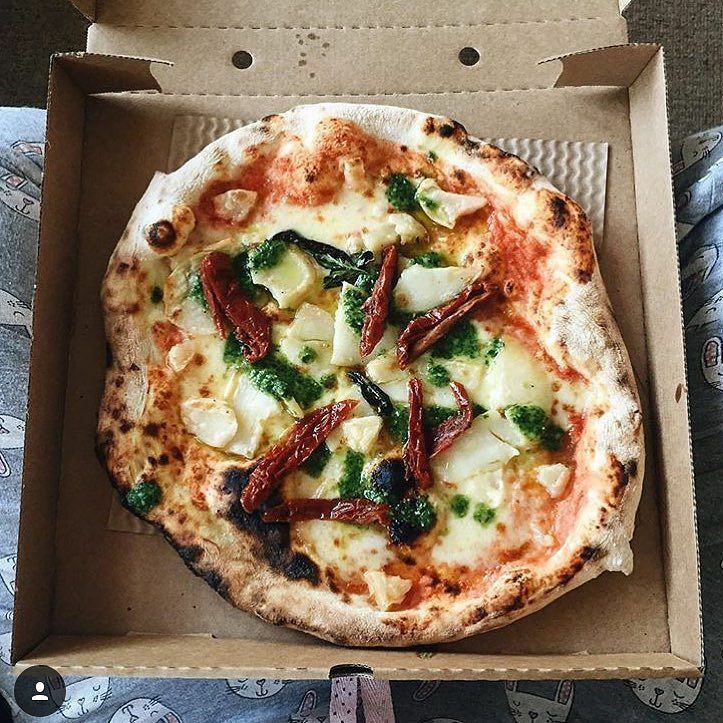 Once a west London outfit, they're now in trendy Peckham and still serving up a 100% vegan pizza menu to loyal customers. Part of the pleasure in such a place is in knowing that there are no restrictions, so you can cover your eyes, stab your finger down on the menu and eat whatever it has bloody well been landed on. Although if you prefer a more refined selection process then there's plenty to keep you occupied, with cheesy options, spicy options, even meaty options thanks to seitan sausage, ham and salami. Londonist's Harry Rosehill explains that "the picky in 'PickyWops' comes from the slang for fussy eaters ... Well, there's absolutely no need to be picky here – the menu is deep, varied and delicious". It's clear that MOD Pizza in Leicester Square is extending an olive branch to vegan diners in the capital. They don't just cater to vegans, they actively welcome them, encouraging you to let your server know when you arrive so they can be sure to don gloves and prepare your dishes away from the rest to avoid cross-contamination. All pizzas are made on demand with over 30 toppings available including vegan cheese, three different vegan sauces (red, BBQ and garlic rub) and then a veritable larder-full of vegetable options from kale to roasted corn. It's pizza the way you like it. Plus, the prices are set so you can weigh down that bad boy with as many toppings as you like - no hidden extras. Give your support to this little independent Italian cafe on Goodge Street, serving up their Veggie Vegan pizza like it ain't no thang. Tomato sauce and vegan cheese is the base for toppings of caremalised onions, roasted aubergines, courgettes and peppers. ICCO has only got the one vegan option for now, but at the rate we're eating them, they'll hopefully notice demand and rack up another alternative soon. At £7.20 per pizza, one for now and one for later sounds like a pretty good idea. VioLife vegan cheese is available as a substitute at any of Firezza's 17 restaurants. That's no small accomplishment for vegan pizza lovers around the capital, so we take our hats off to you, Firezza. And as Londonist writer Harry Rosehill previously exclaimed, it's "dairy-free pizza that actually tastes good"! It's not just the non-cheese-cheese we're going gooey for either. Harry tells us that "the crusts are to die for, so opening them up to a new and appreciative clientele is excellent. Throw in whatever veg you want with the build-your-own option and swig a craft beer as you go, you'll leave completely satsified".